What's your style? Bold or dainty? 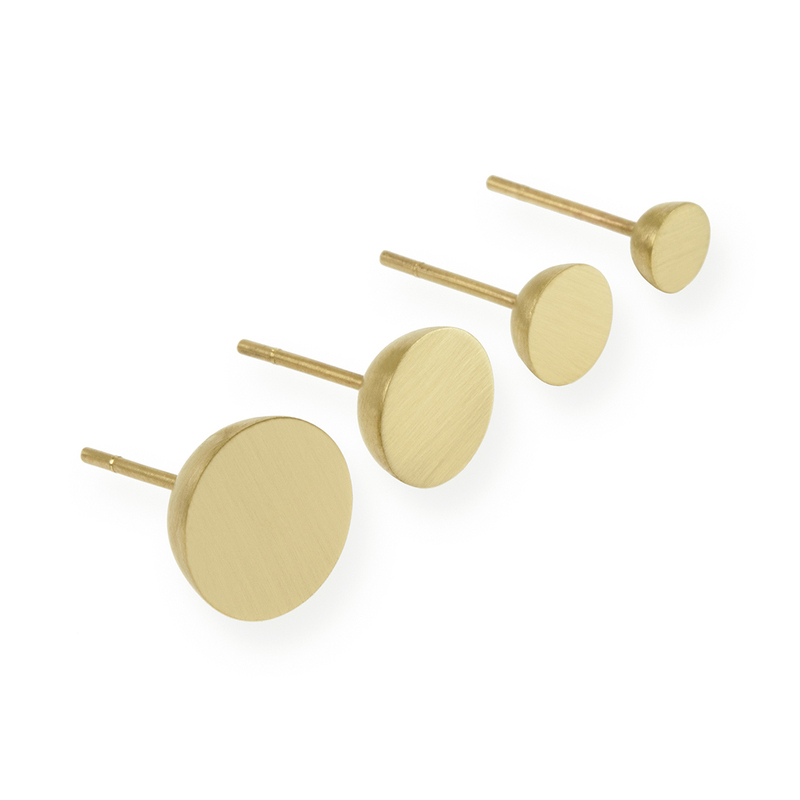 Available in 4 sizes, our Hemisphere studs fall into either category. 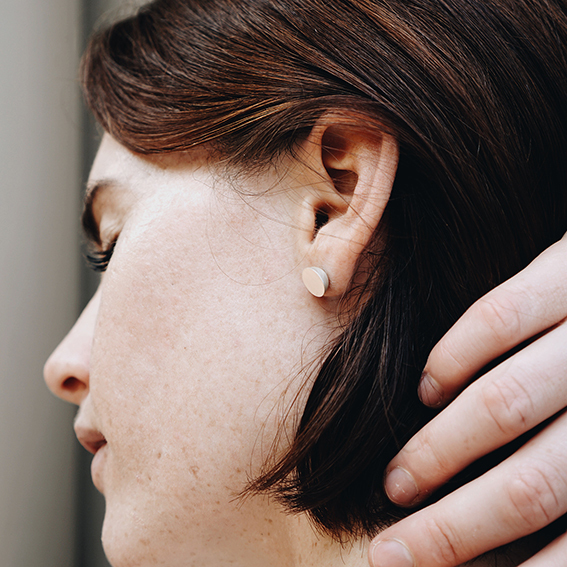 A contemporary, sustainable take on the traditional pearl earring. Available in 5mm, 7mm, 9mm and 11mm diameters. 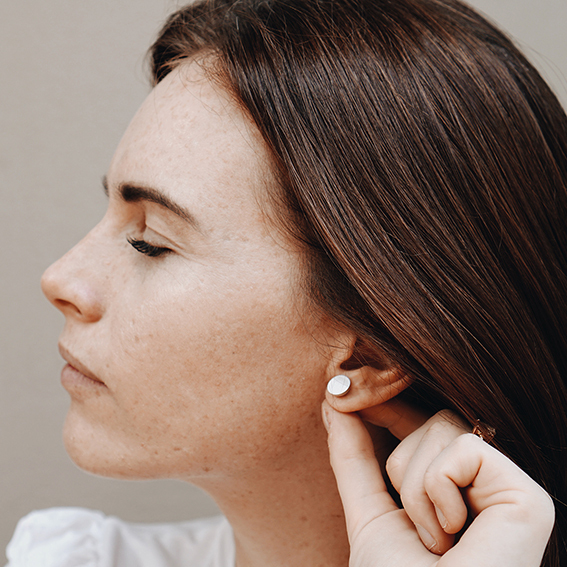 Each earring is a hemisphere, making its height half its width; the 5mm studs sits 2.5mm high, the 7mm stud is 3.5mm high, the 9mm is 4.5mm and the 11 is 5.5mm high. 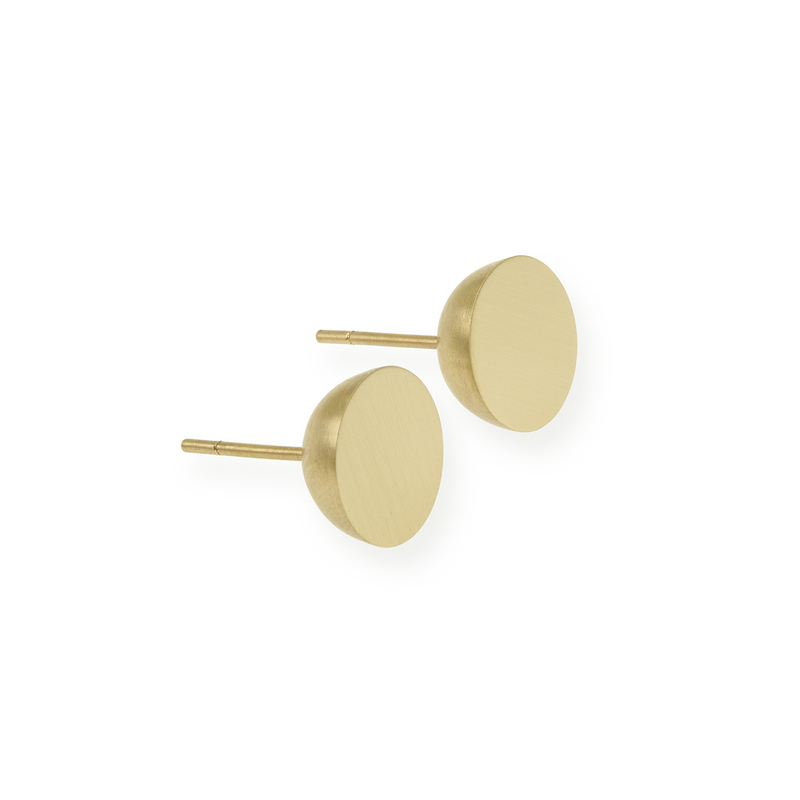 The larger sizes are hollow constructed making them light enough to wear comfortably. 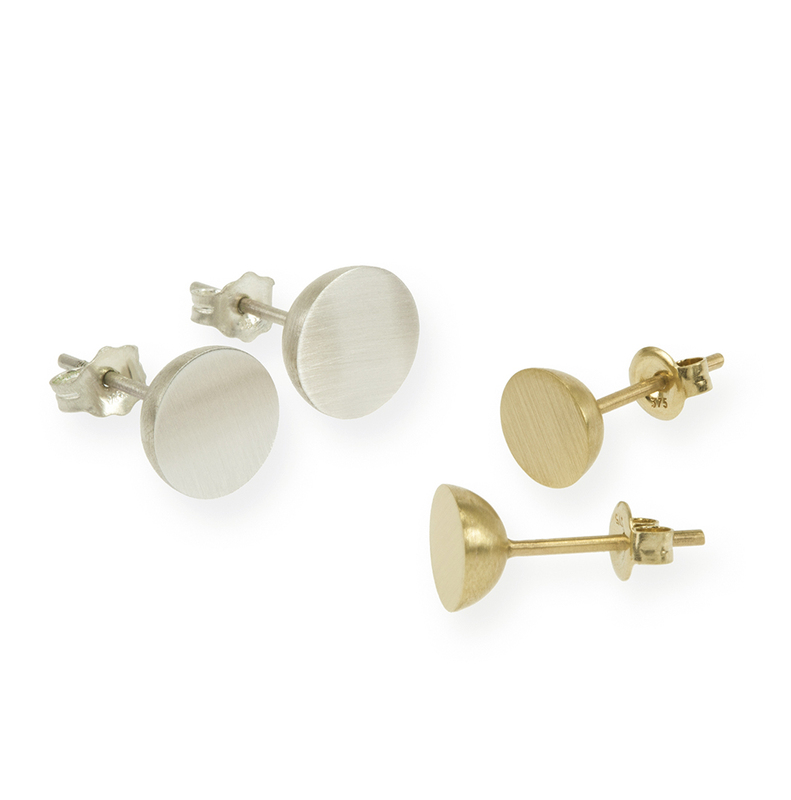 Handcrafted in silver or 9k gold reclaimed from circuit boards. These earrings may need to be made to order, please allow ten days for manufacturing. 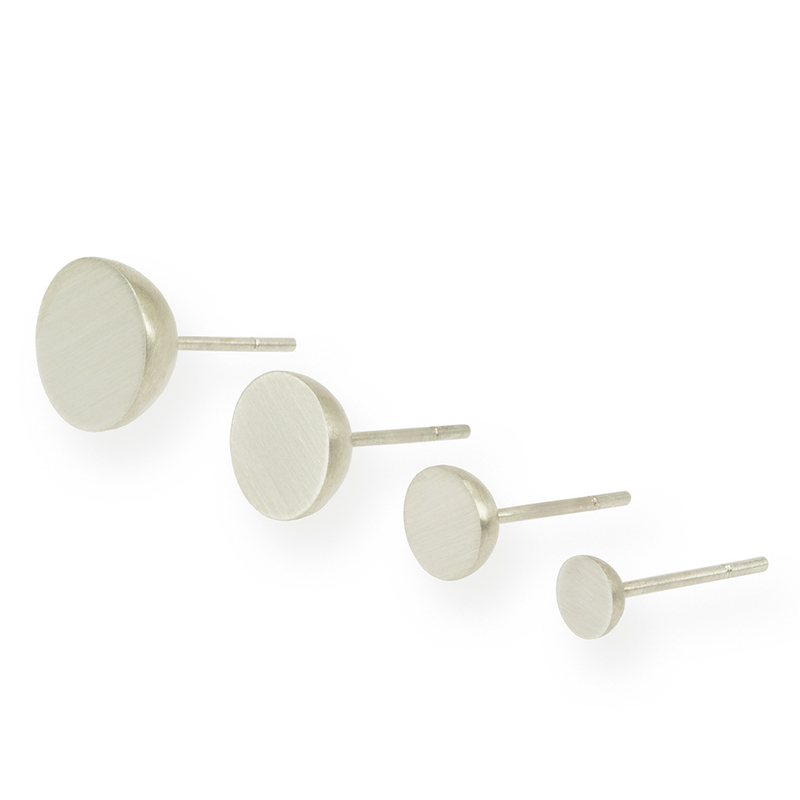 Notify me when Sterling Silver 5mm Hemisphere Studs is available.